Sultan Knish: Does Anyone Understand the Meaning of Treason Anymore? Does Anyone Understand the Meaning of Treason Anymore? With the latest news story on the Rosenberg case, news outlets and some bloggers have rushed in once again to try and exculpate the Rosenbergs as innocent victims of an overzealous justice system. This of course has been the usual defense for both Communist and Islamist terrorists and agents, their repackaging from perpetrators to victims part of the process of turning agents of pure evil into martyrs. The quest to redeem the Rosenbergs cannot and is not separable from the quest to minimize the evils of Communism. The revisionism of the Rosenberg defenders is no different than that of David Irving, Pat Buchanan or any historical revisionist trying to redeem the Nazis by finding chinks in history's armor. Anyone who objects to this analogy should go and dig in the frozen fields of the Gulags for the corpses of two generations of Jews brutally murdered by the Communists, or the remaining millions who were spared only by the chaos in the aftermath of Stalin's death. Those were the monsters whom the Rosenbergs, as loyal Communist party members served, and they deserve no mercy. Had the Rosenbergs done nothing more than simply been members of the Communist party, they would have deserved to die for it. Can anyone seriously argue that that being a member of an organization responsible for the brutal murders of millions deserve anything less? The same thing goes for Nazis or for Islamists. Right now many of the people reading this will be wincing at what I just said. It seems much too brutal and ruthless. After all we can't kill people just for joining a "political" organization. And that wince is a sign of just how much Communism has been legitimized and how the very idea that someone who works to overthrow the United States and murder its citizens should be somehow sacrosanct because his motivations are political or religious, has become sacrosanct. When you dedicate yourself to mass murder by being a dedicated member of an organization meant to destroy that country, that country has every reason to execute you and no reason to let you go on living. A political organization that seeks to end democratic rule and impose a tyranny, is not a political organization. It is a totalitarian organization seeking to achieve its objectives by political means. An organization that makes it clear that it has and will kill numberless amounts of people to fulfill its goals is a terrorist organization that must be destroyed, root, branch and leaf. In case anyone has forgotten, Communism was a terrorist organization. Communists robbed, killed, set off bombs, assasinated politicians, assasinated political dissidents, suborned, assembled plans for the invasion of any country they were in, and the takeover of their legitimate governments. All of this was funded and organized by the USSR and it continues today in Latin America under the aegis of Cuba and Putin's Russia. Communists like Nazis then and Islamists today, were a terrorist organization. Membership in the Communist party meant defacto membership in a terrorist organization whose goals were mass murder and mass slavery under their own tyranny. No member of such an organization had any right to live. Yes some Communists were genuinely idealistic. So were some Nazis. So are some Islamists. What is idealism anyway and when does it cease to be noble? The Rosenbergs continued to be Communists well after it was widely known that Russian and Ukranian peasants and Jews had been killed in large numbers. Well after Hitler and Stalin had allied to carve up Eastern Europe into bloody chunks. None of this was a secret, most Communists however chose either to justify it or block it out. The information was available to make their choice and they made their choice. They chose evil. The only arguments for letting the Rosenbergs go on living their vile twisted lives that placed love of Stalin above even their own children, come from fellow travelers or from the weak voices that argue that we should let a thousand terrorists go rather than risk inconveniencing one "innocent" terrorist. And they are the reason why in every war that manifests a fifth column, we quickly find ourselves on the defensive, while the terrorists and their smug lawyers find chinks wide enough to lead their clients through to freedom or lessened sentences time and time again. We do not have a terrorist problem. Not in America, not in Europe, not in Israel. What we have is a treason problem. If we did not have a treason problem, we would not have a terrorist problem. We would have a minor terrorist nuisance. A terrorist problem can only exist when there is a sizable fifth column or fellow travelers helping the terrorists accomplish their goals. Today we not only do not condemn it, we treat it as legitimate political disagreement. I believe they shouldn't murder millions of my fellow citizens, you believe they should. Let's shake hands and go our separate ways. But no, it does not work that way. There is nothing legitimate about it and we are left helpless before the enemy when we treat the enemy's intentions to destroy us, as being just as legitimate as our intentions not to be destroyed. Moral equivalency is a state which in nature or politics cannot endure. When you try to balance two opposing forces, one will surely come to outweigh the other. When we apply moral equivalence to our own right to exist in favor of the enemy's right to plan our destruction, then the balance tilts toward the enemy's view, so much so that millions of our own citizens will accept it as the right way. And if you don't believe that, it is already the state of affairs in America, Europe and Israel, where loyalty oaths are considered an obscenity, but supporting and defending terrorists is considered a democratic virtue. If anything the malingering and hesitation toward the Rosenbergs was a sign of an already rotted morale. The only evidence of guilt that is needed for such as Julius and Ethel Rosenberg or Talia Fahima or their kind is the ideology they have committed to. When it comes to mass murder and national destruction, when the intent and participation is clear, so is the evidence and so should be the outcome. Exactly right. They were no good, just plain no good at all. Olmert: "If we don't reach deal with PA soon – price will be unbearable"
Tell me this does not border on treason? Speaking for what may be the last time in office at the Knesset Foreign Affairs and Defense Committee on Monday morning, Prime Minister Ehud Olmert focused on the importance of EXPEDITING the signing of a peace accord with the Palestinian Authority. Olmert: We need to "reach a deal FAST"
"missing that opportunity may come at an unbearable price"
Though "the price will be very heavy, I think that the price we pay now will be lower than what we will have to pay in the future"
"those talking about missile threats – I can say now that all of Israel is already in the range of terror organizations, and so a meter here or there – doesn't matter." "There is a genuine fear that the binational narrative will be established..."
"I find there is a growing sentiment in the international community embracing the idea.."
Olmert gives these killers Jewish land and in return the Jews will get mayhem, terror, missiles and mass slaughter! He sure is. You should read the A7 article in which Olmert tells Israeli to give up "Greater Israel" it is definitely treason. Not to mention his revolting comdemnation of what he called a "Jewish pogrom" against non-Jews (Arab terrorists) in the town where the little 9 year old Jewish boy was stabbed five times and a house torched. The Jews defend themselves and Olmert calls it a pogrom against non-Jews. A friend who made Aliyah a few years back wrote me from Samaria today: The major rabbis in Israel all agree that we are in the End of Days. He's talking about traditional / observant rabbis; not liberal rabbis. I plan to make Aliyah when I can sell my property and get out of here. I plan to immigrate to Israel; definitely. 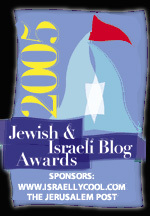 My friend is of the view that all American Jews should make Aliyah ASAP. What I want to ask is this. Why aren't the major rabbis in Israel condemning Ehud Olmert in unison, demanding he resign immediately? If they are condemning Olmert for his treasonous acts, why don't we hear them? A few months back, a Rabbi Wolpo (Chabad) condemned Olmert. He was publicly attacked for "incitement" and I've not seen or heard from him since. All I read from Rabbi Ovadia Yosef is praise for Olmert. "The premier also commented on remarks he made during the weekly cabinet meeting a day earlier, in which he said that the "vision of a greater Israel no longer exists." "Every meter from the Jordan River and west is part of the historic land of Israel, and there was never any other dominant culture there," the prime minister said. "Every time there is an archaeological dig in that land, artifacts from Jewish History are discovered. "But currently, people who belong to another nation live there," Olmert added. "There is great fear over [the creation of] a bi-national state, within which we will be the minority. "Unfortunately, I see a growing effort within the international community to push the idea of one state for two nations." Talkback #57. The real story here is the last quote, not the first! It's *crucial* we reject the demographic threat. The main justification for trying to leave Yesha is the Apartheid argument which states that if we don't leave, the world will force Israel to vote itself out of existence as it did to South Africa. The reason that this thinking is flawed (apart from legitimate debate over the numbers) is because accepting the Apartheid argument is tantamount to telling the Palestinians that if they force the IDF to occupy due to terror, then they will eventually realize their dream of destroying Israel. Therefore, we must reject the legitimacy of the Apartheid comparison and accept our right to rule Yesha. Can someone explain this. I read Jimmy Carter's anti-Semitic book, "Palestine, Peace Not Apartheid." I don't understand the Apartheid argument. Aren't Arab states like Saudi Arabia Apartheid states or judenrein states? Isn't this what Israel's Muslims want is a judenrein state? Can someone explain Robert's point above? I see. But I do not fully agree. There were many communist then as well as now. But, only two people were set up to be killed. 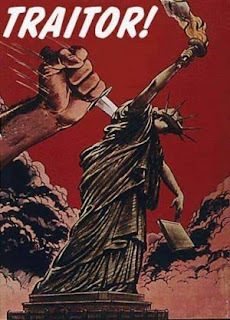 If the general punishment for being members of an anti-American party was to be killed, then I would more likely agree. But, these two were framed for an act that they were apparently innocent of. So the punishment did not fit the crime even then. If you applied your logic to Jonathan Pollard we would have to say that his sentence was justified. In spite of the fact that much of what he was blamed for is not true. Since, to a small degree he did pass secretes to another country. You might say that there are differences between the two. Yet, there are many people who will see more similarity then differences. first of all the rosenbergs were by no means innocent of the crime they were charged with. My point was that they deserved to die regardless. Nor were they set up. "If you applied your logic to Jonathan Pollard we would have to say that his sentence was justified." "When you dedicate yourself to mass murder by being a dedicated member of an organization meant to destroy that country, that country has every reason to execute you and no reason to let you go on living." I feel the same way about people who are voting for the muzlim. It's treason. Not kidding. And it should be treated as such. Still not kidding. I am on Ambassador Yoram Ettinger's mailing list. Yoram regularly writes about the phony demographic threat. What I am inquiring about is the charge of apartheid. If Israel does not establish a separate Muslim state, Olmert warns Israel will be branded an apartheid state with respect to the "West Bank" since the Arabs in the West Bank are not given citizenship. How do you respond? I might want to look at the Sanhedrin. I am somewhat familiar with the Sanhedrin. What kind of statements have they issued recently? Do you have any to report? What sort of condemnations have they issued visa vis this government? The term "Sanhedrin" means little if they do not take a moral stand. What moral stands has this Sanhedrin taken against this treasonous govenment? Please do not give me this "you're not familiar with the Israeli reality." Provide me answers. Make me familiar if you can. Future historians, perhaps some Russian or Chinese Gibbon writing 'The Decline and Fall of the Anglosphere', will have an interesting job explaining how the vigorous post-World War II Anglo-Saxon civilisation, which put men on the moon and invented all of modern computer and telecommunications technologies, somehow lost its confidence to the extent that it allowed itself to be taken over by swarms of Dark-Age savages, with hardly a glimmer of resistance. We tend to think of the causes of the Muslim problem as being external - Pakistan, Saudi Arabia etc. But the real causes are internal: the self-loathing 'intellectuals', the open-door immigrationists, the Effete Elite such as David Cameron and the Archdhimmi, the post-colonialist guilt trippers, the multi-culti dumbing-down educationalists, the anti-British Brainwashing Corporation and all the rest of the smirking-class traitors - not only in Britain but in Canada, Australia and the US as well. A healthy body can resist attacks by parasites, but Anglo-Saxon civilisation, and indeed the whole of European civilisation is very sick indeed. To return to my first sentence, why did I write a Russian or Chinese Gibbon rather than an Islamic one? Because if the Anglosphere is destroyed by the Muslims, it will go through a stage where it is so anarchic and weak that stronger, more homogenous and more culturally self-confident civilisations will step in to take charge, and deal with the Muslims in the manner of Joseph Stalin and Chairman Mao. Sultan, please. I am asking you. Please do not make me dig. I see no blanket condemnation of the evil Olmert government. None. Some of these links say: "Categories: Pages under construction | Legal rulings and opinions to date"
Then there is this groveling letter to the "esteemed" George W. Bush who is already in the process of dividing God's land. What is honorable about a dishonorable man? President Bush is dividing the Almighty's land against the clear warnings of our prophets. Yes? There is nothing estimable about Mr. Bush. Where have these rabbis been for the past seven years? Why didn't they condemn this evil man? My goodness Sultan. You say I know nothing about Israeli reality. As they say, "Where is the beef?" 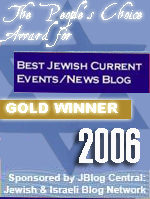 THIS is the definitive blog on Israel and Olmert. Go now! There are many leaders, whether it is the United States, Europe, or Israel, that do not have the welfare and security of their people as their goal. They are traitors to their people and their country. We need to throw these vipers out of office and put those in office that will look out for our interests. The logic of the article is absolute, but I still think were they not Jewish they would not have been executed. Wow, Sultan - excellent points - and said well... better and clearer by you - (if ever said before). Thank you for this article. I may come back to you to ask permission to use a quote out of it - if that's ok.